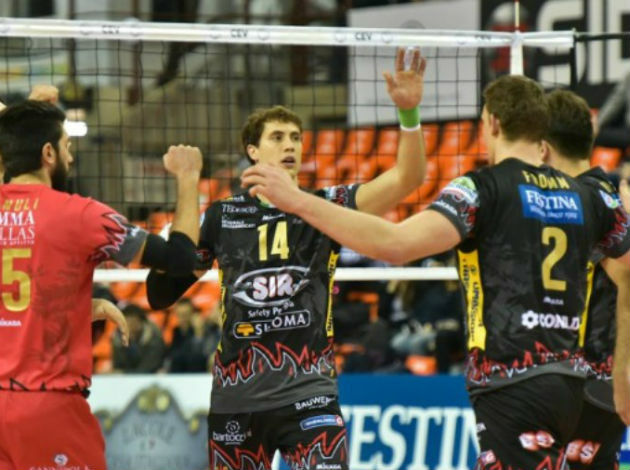 Vôlei Renata still did not lay down their weapons in front of EMS Taubaté Funvic in the 2018/19 Brazilian Men’s Volleyball Superliga playoff quarterfinals. A massive resistance that No.6 Vôlei Renata (formerly known as Campinas) showed to the third seed Taubaté in Game 1 of the Superliga Cimed 2018-2019 playoff quarterfinals was not a coincidence. Vôlei Renata tied the series at 1-1 by beating major title favorites in four sets at home, partially 25-23, 20-25, 25-15 and 25-20. Thus, Game 3, which will be hosted by Taubaté, will reveal the name of the semifinalist from this matchup. Bruno Araújo top-scored for Vôlei Renata with 20 points (three aces), while Daniel Cagliari made 75% excellent attack. Ricardo Lucarelli scored 19 points (three aces) for the losing side. Argentine Facundo Conte made 82% excellent attack. The fourth seed SESC-RJ booked the first ticket for the semifinals so far as they defeated No.5 Fiat/Minas on the road in straight sets. The Rio de Janeiro team took advantage of too many errors of their rivals. Minas had twice as many faults compared to SESC (26-13). Wallace Souza noted 22 points for the winning side. Flávio Gualberto was the best scorer in Minas with 12 points which he put down through 77% excellent attack. 1 Comments about "BRA M: Sesc become first semifinalists, Vôlei Renata stun Taubaté to tie series at 1-1"
Wallace after he left Sada Cruzeiro did not win anything, you can go back to be happy again.